This map (with an interesting take on the Detroit border) is unfortunately timely in its discovery after the recent flooding. 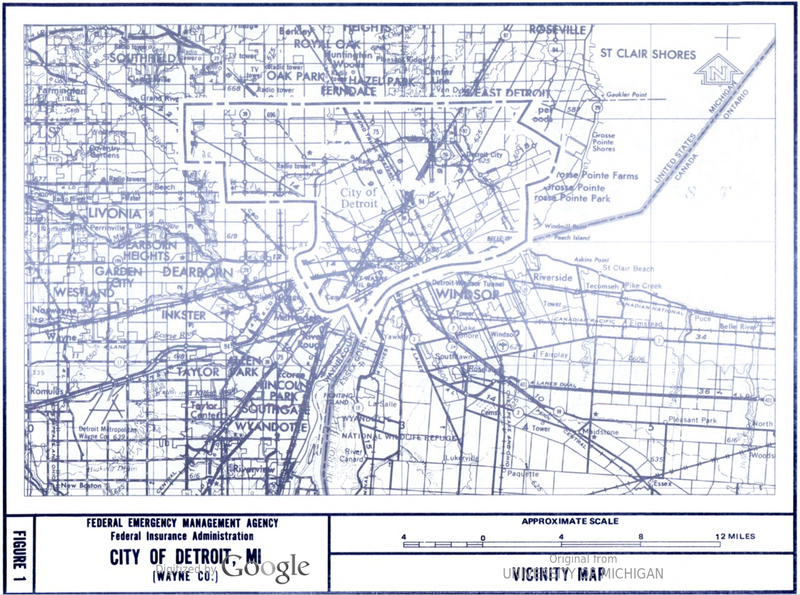 The map is a part of a 1981 study of flood insurance and flood plain issues in Detroit. 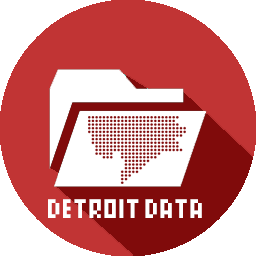 The study was to cover areas of low development for potential upcoming flood risk as far into the future as 1983 and there was a focus on the shoreline because it was highly developed and “susceptible to flooding and erosion.” The report later notes that the shoreline area of the City of Detroit had a very low likelihood of flooding. There haven’t been ferry boats on Downtown streets since composite photography made some stunning fake postcards in the early 20th century. The study’s final recommendations were to develop a floodway that could handle a 100-year flood. It seems that the recommendations of this report were not followed.